Start a successful company, ladies! While a number of startups have a very high valuation on paper, they still have not broken even just as yet. (L-R) Archana Priyadarshini, Jayshree Ashok and Sharmila R and staff from WiseLane Ventures at the session. BENGALURU: While a number of startups have a very high valuation on paper, they still have not broken even just as yet. The path towards making a profitable and scalable start-up is, therefore, a long and arduous journey that needs meticulous planning. 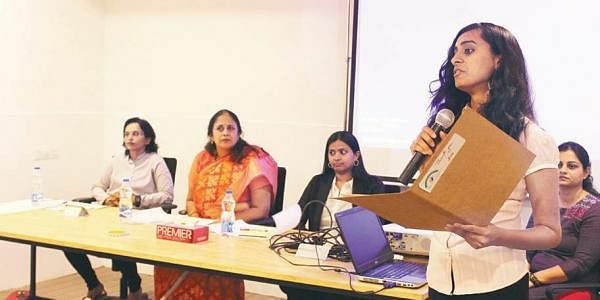 A session on how to run their start-ups was conducted for budding women entrepreneurs of the city as part of a special ‘advanced’ Women’s Day event called ‘Coffee Conversations’ in the city. A panel of three women experts in various fields helmed a session where they advised the entrepreneurs on the do’s and don’ts of their ventures. Giving her expert advice on the finances of a startup, Sharmila R, an executive from PwC says that startups should use auditing and monthly reports of their finances as a planning tool rather than treat is just as a formality. “Many a times we see that start-ups indiscriminately use money. They move into huge offices, order expensive furniture. Although we do not know what is the use for such things but all this needs to be accounted for,” says Srihari A, director, WiseLane Ventures Pvt Ltd, that organized the program. “A startup is easy to start but difficult to grow. It is crucial to keep the focus on finance no matter what,” says Sharmila. With regards funding, Archana Priyadarshini from Unikorn Ventures explained the various levels of funding from the ‘seed fund’ stage to ‘series A’ stage and so on. She congratulated the women entrepreneurs for dreaming big despite the traditional issues that usually bog down women. “Before starting any venture, one should plan for at least the next 3 years and keep milestones as a way to measure progress,” she advises.